Ormeau Hills is a locality in City of Gold Coast, Queensland, Australia. In the 2011 census, Ormeau Hills had a population of 1,212 people. A small section of the eastern boundary of Ormeau Hills follows the Pacific Motorway. ^ a b Australian Bureau of Statistics (31 October 2012). "Ormeau Hills (SSC)". 2011 Census QuickStats. Retrieved 18 April 2014. ^ "Ormeau Hills (entry 46074)". 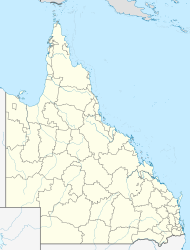 Queensland Place Names. Queensland Government. Retrieved 11 April 2014. This article related to Gold Coast, Queensland is a stub. You can help Wikipedia by expanding it. This page was last edited on 29 October 2017, at 08:50 (UTC).